When you’re renting or buying a used storage container, you’re doing it to save money. In order for those savings to pay off, you need to ensure the shipping container is in good condition. Since we have over 1,000 shipping units in our inventory, we are a bonafide storage container expert. One of the primary purposes of a steel storage container is to protect important materials from the elements. A used storage unit in poor condition is often more of a liability than a help. 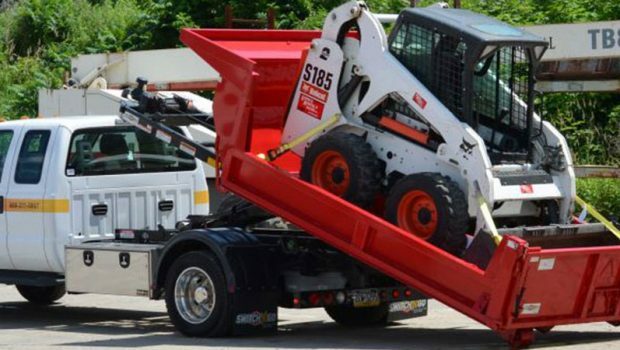 Many people think they’re saving money by buying or renting the cheapest used container they can find, which certainly sounds logical. 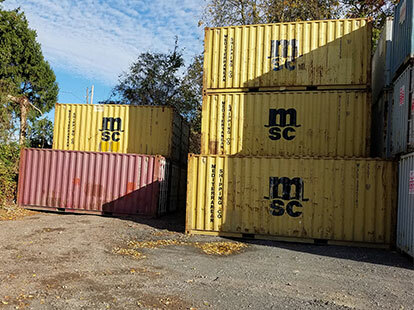 In reality, though, the cheapest used containers often leave your equipment in jeopardy, wasting your time and money in the long run. 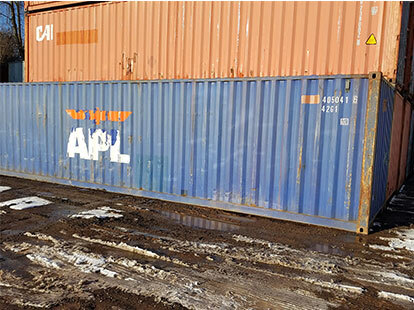 This is our insider guide to inspect used shipping or storage containers. If a container doesn’t meet our qualifications, we won’t buy it for our inventory — and we won’t rent it or sell it to you. Follow our guide and learn how to evaluate containers like we do. When evaluating a used shipping container, you are hunting for signs of damage. Unfortunately, the warning signs aren’t always as apparent as you’d like them to be. Also, some cosmetic damage that looks like it should be a deal breaker, in fact, does nothing to reduce the container’s usability and value. 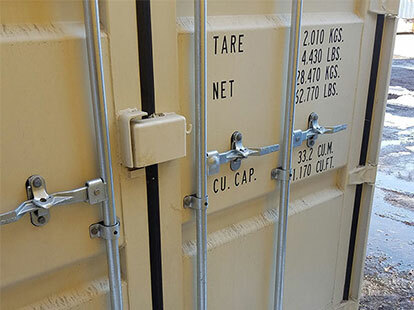 As we mentioned, one of the most important jobs of any storage container is to keep cargo secure and dry. As a result, you need to guarantee that any shipping container you rent or buy will be watertight. The condition of the door gaskets are one of the best indications of this. Shipping container door gaskets are the mechanical seals between the container walls and the container door. If the gaskets are in good condition, the doors will seal effectively. If not, moisture will be able to infiltrate the container, damaging whatever you’re trying to store. The door gaskets should be easy to open — yet seal tightly. Look closely at the gaskets for major cuts or tears. Seeing damage on the gaskets is a sign that you should move on. Examine the rivets that attach the gaskets to the doors. If those rivets are deteriorated, the gaskets won’t hold for too much longer. Inspect the door trimming. Rust and rot here suggest that the gaskets won’t stay in place for much longer or they may not be watertight. 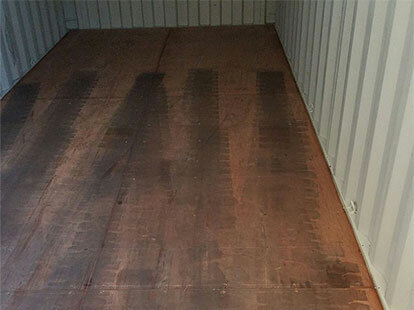 The condition of the floor can help indicate the overall condition of the container. The steel cross members of the cargo container should be sturdy enough to be lifted by a forklift without sustaining damage. The wood floor interior should not be lifting, soft or warped from moisture. However, in extremely old or poorly maintained boxes, the floor can be damaged beyond repair. If the floor feels spongy beneath your feet, that’s a sign the cross members are rotten or that the 1” plywood floor is failing. 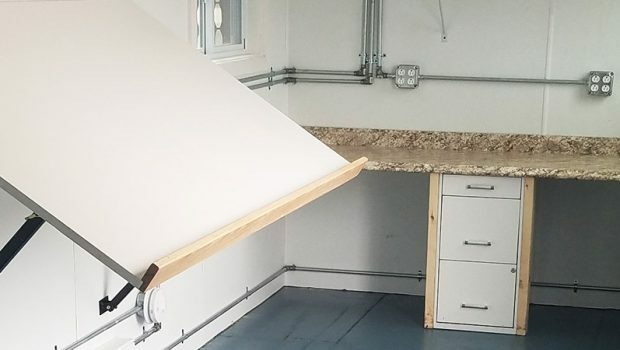 If the container floor is uneven, you can assume that the plywood underneath has been damaged by moisture and is bowing in and out. 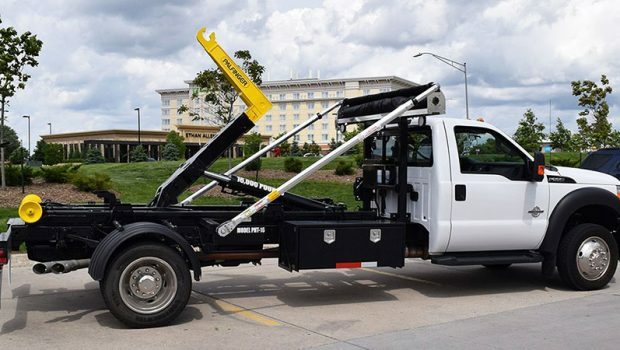 If you have the equipment to lift the container, take a look at the underside; if the condition is bad enough, you’ll see holes and other damage on the underside. As you know, watertight is the name of the game with storage containers. You need to ensure the roof is secure before you buy. 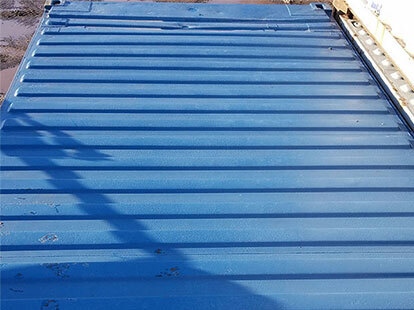 You need to look for pinholes in the container roof, particularly in units between 10 and 15 years old. Even if the holes are tiny, they’ll still let in water every time there’s rain. Extensive patterns of rust on the roof can indicate the possibility of pinholes. A good container should be dark on the inside. If you walk into a container and see daylight, you can feel confident that the roof is full of holes. Since storage containers are made from raw steel, they will rust after spending years exposed to the elements. That surface rust is perfectly natural and is self-sealing, meaning that it won’t undermine the container’s watertight qualities. Depending on the level of rust, you may want to pass. However, it doesn’t necessarily need to be a deal breaker for an otherwise solid container. If the rust patches are small and localized, you don’t need to rule out the unit. If the steel is rusting through to the inside, it’s more than just surface rust and you need to move on. If flakes of rust are coming off the unit’s surface, you may need to take a closer look. These storage boxes do a tough job — they’re bound to experience some scratches and dents from time to time. If you’ve spent a lot of time on job sites you know that very few storage containers are in perfect condition — or stay that way for long. Scratches and dents on the outside don’t keep the container from protecting your materials or indicate that anything is wrong with the units overall quality. Learn if renting or buying a storage container makes the most sense for your business! Now you know how to evaluate used shipping containers, but you shouldn’t need that skill to be able to rent or buy one with confidence. Rent or buy from a reputable, well-reviewed dealer instead. When you buy or rent a storage container from TP Trailers and Truck Equipment, you can trust that the container will keep your material safe and secure. TP Trailers makes it easy to get the storage you need. We offer next-day delivery to most locations and same day delivery in an event of an emergency. Service was friendly, prompt and accurate. Pricing was very competitive. Quick turnaround!